Arrive prepared to your presentation with this promotional folder! Arrange your loose-leaf papers in your preferred order with this three-prong polypropylene folder. 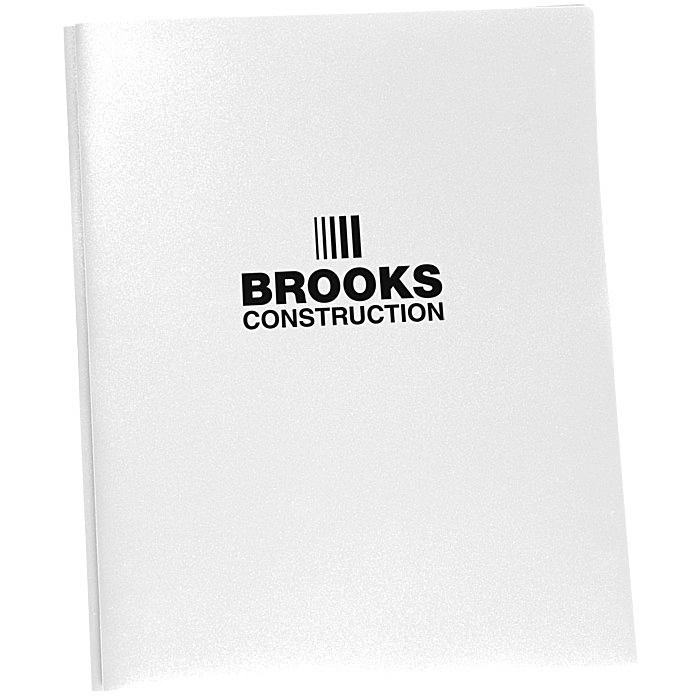 The polypropylene construction helps maintain the pristine condition of your three-hole punched papers. Insert crucial documents in the two folder pockets and your business card in the card slot for easy reference. Available in several eye-catching opaque colors. For this 2 pocket folder with translucent colors, please see item #111742-T3 Prong Twin Pocket Presentation Folder - Translucent. 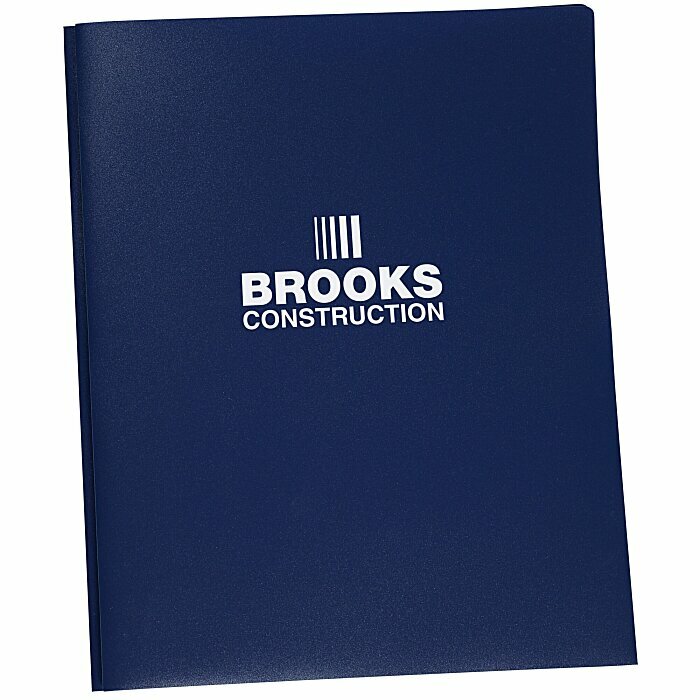 Your price includes a one-color imprint on the front of the 3 prong folder.